Distinguishing one sofa design from another can be a tricky task. How do you tell a Lawson style sofa from a Chesterfield sofa? How do you properly pronounce “chaise lounge”? And what does a tuxedo have to do with furniture? It may sound arbitrary, but these details can make a huge difference when out sofa shopping—or when you’re trying to show off your inner Design Star with friends and family. From sofa styles to sizes and materials, we’ve created a mini crash course with all you’ll ever need to know about sofa design. DESIGN BREAKDOWN: This classic sofa design is known for its deep button-tufting and high rolled arms. The sofa arms reach the height of the back seat, creating a dramatic silhouette. Traditionally, the classic Chesterfield sofa was made of leather and commonly found in gentlemen’s studies or libraries. Nowadays, the Chesterfield sofa can be found in a wide range of colors and upholsteries, making it a great fit for a variety of spaces. Smaller loveseat versions are fantastic for small spaces in need of a bold look. IDEAL FOR: Use this in formal or traditional rooms. The high-drama details and upscale vibe make the Chesterfield sofa and loveseat a perfect match for these types of spaces. DESIGN BREAKDOWN: You can tell it’s an English roll arm sofa when it features a high back with low, rounded arms that are tucked in (also known as “Charles of London” arms). The seat cushions will be loose with attached back cushions. It’s a common sofa design that can be found in fabric upholsteries or in leather for a luxurious touch. IDEAL FOR: Use this in a relaxed, contemporary space. This sofa style is casual, friendly, inviting and will never go out of style. 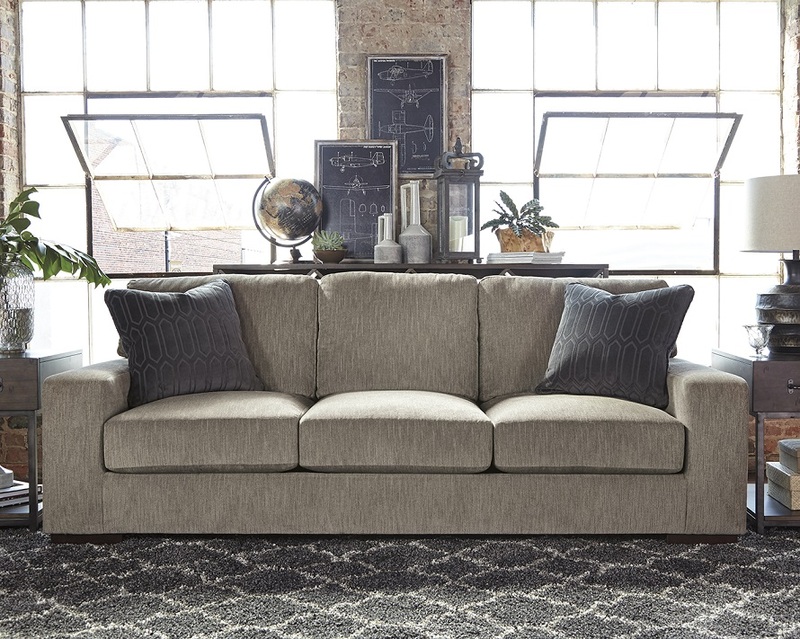 DESIGN BREAKDOWN: This silhouette of a Lawson is fairly similar to the English roll arm sofa, with the exception of loose back cushions and higher, untucked sofa arms. These arms are an ideal height for napping and are typically, but not always, rounded. This is a popular design for a reason—it’s cozy, comfy and simply chic. 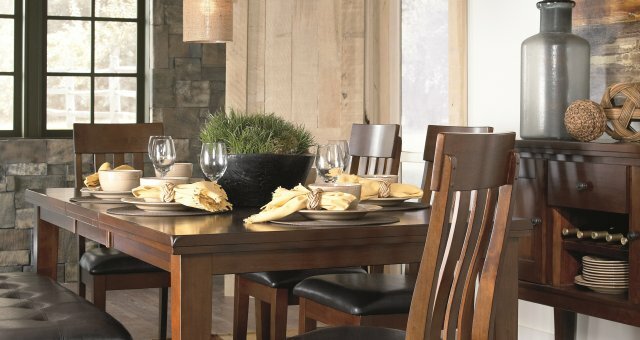 IDEAL FOR: This is perfect for casual spaces. 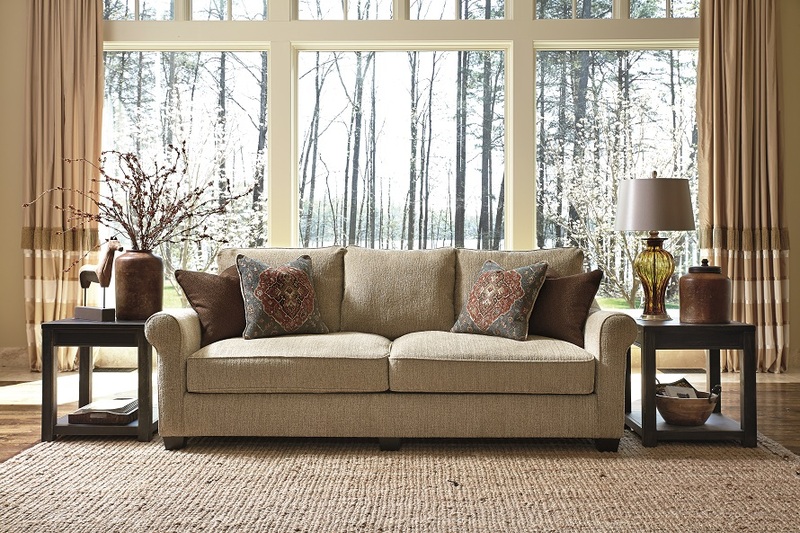 The Lawson style sofa is all about comfort, making it perfect for everyday lounging. It’s extra refined when covered in leather. DESIGN BREAKDOWN: Consider it a modern take on the Chesterfield sofa. The tuxedo style features the same high, sheltering arms, but they are square shaped instead of rolled. You’ll oftentimes see this sofa sporting a button-tufted back. IDEAL FOR: Use this in modern, or even mid-century modern spaces. The sleek, clean lines perfectly capture the look, even if designed with fanciful trims. DESIGN BREAKDOWN: Similar to the tuxedo sofa, the track arm sofa is known for its linear profile. The arms are mid-height and square with a clean silhouette that complements most decor styles. You can find the track arm sofa style in all kinds of upholsteries, from leather to microfiber to linen. IDEAL FOR: Because it works virtually anywhere, place this in modern, mid-century, transitional or contemporary spaces. The track arm sofa and loveseat are truly versatile and work in most spaces. Try pairing it with a similarly sleek chaise lounge. DESIGN BREAKDOWN: The camel back sofa has a distinct “hump” shape on the back seat. It is the only detail that truly characterizes this sofa design, which means you can find this type of sofa in a wide range of styles, although most tend to remain on the traditional side. 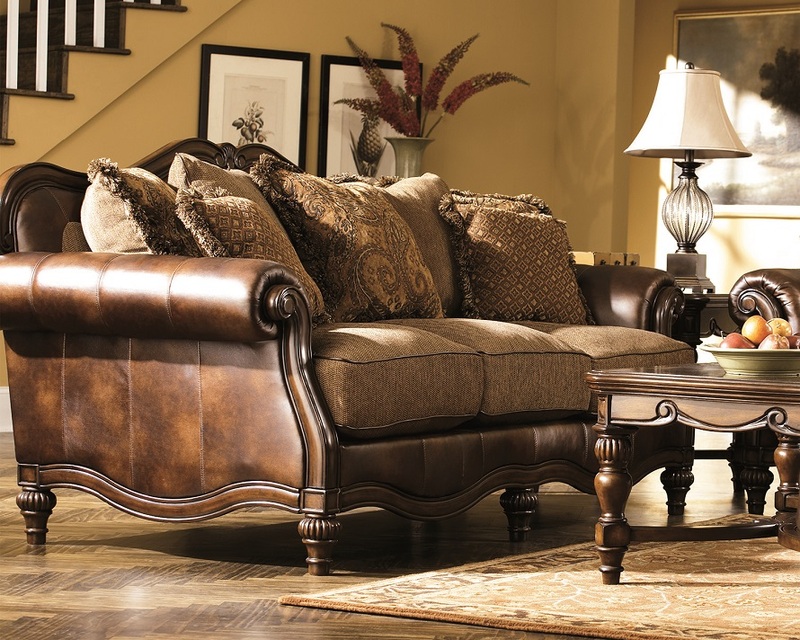 For a truly regal look, try pairing it with an elegant chaise lounge. IDEAL FOR: Use this in traditional or formal spaces. The overall design of a camel back sofa tends to follow the elegant curve of the back seat, which can be subtle or dramatic. DESIGN BREAKDOWN: Sectional sofas provide an ample amount of seating in one cohesive look. The two main shapes are L-shaped and U-shaped. While shopping for sectional sofas, you will often see the terms “RAF” and “LAF”, which are abbreviations for “right-arm facing” and “left-arm facing”. This refers to the position of the arm when you face the piece, which is important if you want to place your sectional along a specific wall in your home. IDEAL FOR: Place this in casual or contemporary spaces that require of a larger size sofa. This type of sofa is inviting and perfect for large families, or for those who love entertaining. DESIGN BREAKDOWN: Reclining sofas come in all kinds of styles, materials and sizes. Most have an attached back and seat cushions. 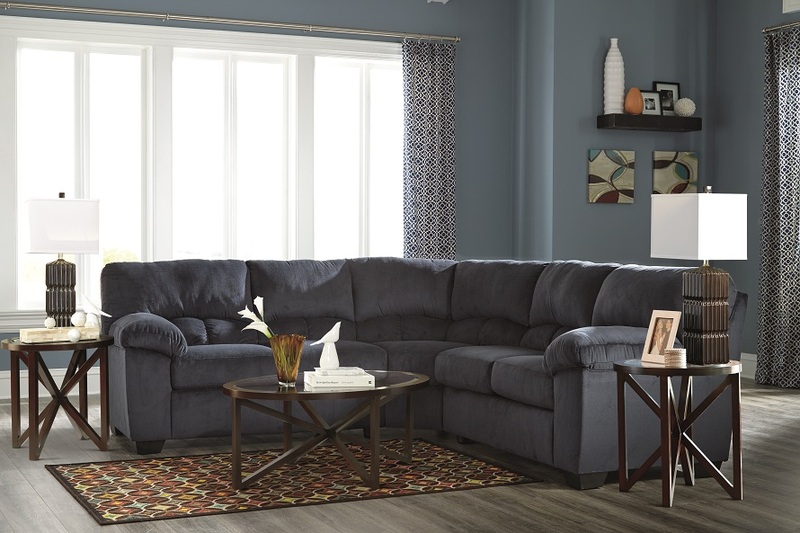 If you enjoy lounging in total comfort, or if you know you may have overnight guests, the reclining sofa is a great solution. 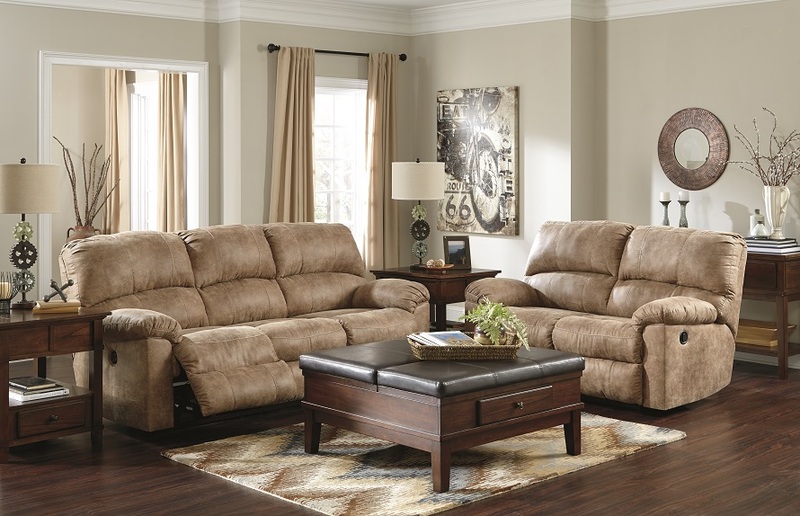 And, there’s always a reclining loveseat option for those who may be tight on space. IDEAL FOR: This is perfect in relaxed or informal spaces. The reclining feature makes this the ultimate type of sofa for lounging, which feels just right in a casual setting. DESIGN BREAKDOWN: This ultra-convenient sofa comes in a wide range of styles, from traditional to casual to contemporary. Flimsy mattresses are often associated with the sleeper sofa, but technology and design has come a long way. You can find them with quality memory foam mattresses that your guests will love for overnight visits. 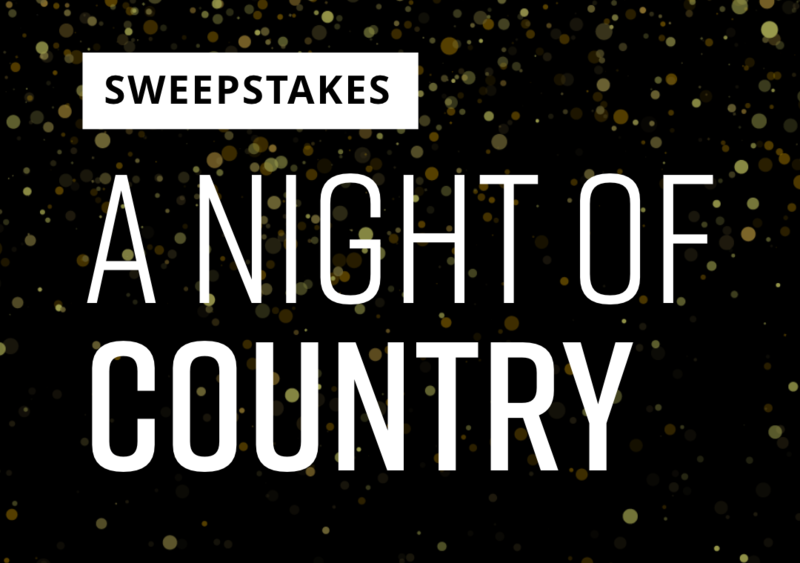 IDEAL FOR: Anyone who plans on hosting guests once a year or more. Or, a memory foam sleeper sofa in lieu of a bed could be a great solution for small studio spaces. Which Sofa Size Is Right For You? Measure the length, width and height of your living room. Ceiling height plays a big role in illusion of space, so finding the right sofa size to complement that can make a big difference. If you have low ceilings, a sofa with a low seat height will help create the illusion of a larger, open space. However, if you have high ceilings, sofas with low seats might look awkward. Another measurement to remember is the width of your hallways and doorways—it won’t matter if you’ve found that perfect couch you can’t bring it inside. How many people will be using this sofa on a regular basis and what will you be using it for? If you have a large household or entertain frequently, you may want to pick a longer sofa with more than two cushions (because nobody likes sitting in the awkward crack between cushions). If you enjoy taking naps on the sofa, then it may be important to choose a sofa size with greater depth. Too much furniture in one room not only looks crowded, but it can make moving around difficult. Consider other items you plan to include in your room design before choosing a sofa. For example, if you like end tables, you should factor that into the sofa length you choose. 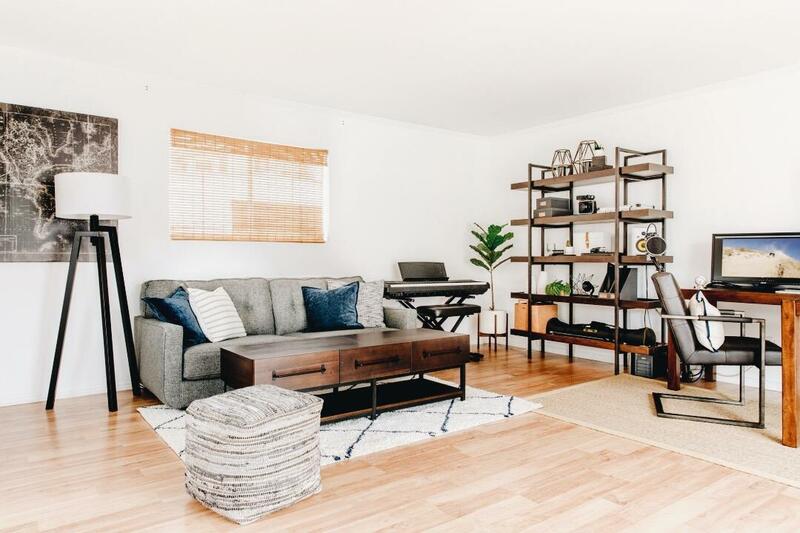 Or, if you already have plentiful seating with additional pieces like a chaise lounge, you may want to reconsider that “must-have” sectional sofa. LEATHER: This is a very popular choice for sofas. There are different grades of leather to choose from, with genuine leather being the highest quality at a more expensive price point. If it fits in your budget, it can be a great investment piece. Good quality leather is incredibly durable, easy to clean and develops character over time. The only things you’ll need to watch out for is fading in direct sunlight and damage with sharp objects or pets’ claws. COTTON: This natural fiber will provide good resistance to fading, but is less resistant to soiling, wrinkling and fire. The durability of cotton upholsteries will depend on the weave count. A tighter weave is a stronger, higher quality fabric choice. Canvas and damask weaves look nice, but tend to wear down faster and aren’t as easy to clean. LINEN: This sofa fabric is best for formal spaces or for households without children or pets. Linen is a delicate fabric that soils and wrinkles easily. If soiled, it’s normally recommended that the upholstery be professionally cleaned to avoid shrinking. While caring for linen is a bit more particular, it happens to resist fading well. FAUX LEATHER: This synthetic fabric is a popular choice for those who want the durability and look of leather at a less expensive price point. 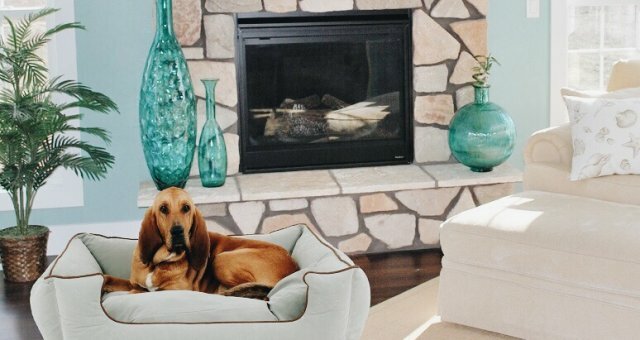 MICROFIBER: This sofa fabric is a great choice for pet owners. Microfiber is a very fine polyester that is soft, durable and easy to clean. Since the fabric weave is extremely tight, pet hair, dust and lint do not stick or stay trapped in the sofa fabric—making upkeep incredibly simple. 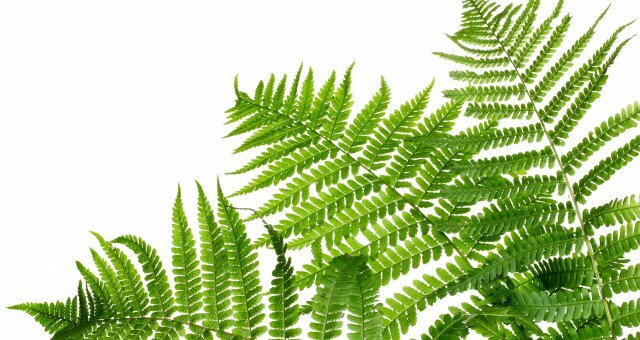 POLYESTER: This is one of the most common synthetic fabrics used for sofas. It’s an affordable option that touts many benefits. It is wrinkle resistant, durable and easy to clean—making it a great upholstery choice for families with children. While the material may not sound exotic or glamorous, polyester sofas can be very stylish. CHENILLE: Chenille is a soft and elegant fabric that is surprisingly durable. Tufted threads (from natural or synthetic fibers) give the fabric a soft, almost fuzzy texture that is very comforting. Even though this sofa fabric is durable and can last with heavy use, it is a high-maintenance choice. Chenille fabric sofas should be regularly vacuumed to remove dust, and any liquid spills may need professional cleaning. Since the threads are tufted, the fabric can be snagged by claws of cats or dogs. Understanding the quality of your sofa cushions will help you determine which sofa is right for you. Foam is a common sofa cushion material, but not all foam cushions are alike. The quality of foam is determined by weight and density. A higher weight and density, like Ashley’s UltraPlush cushions, means more support and a longer lasting cushion with minimal maintenance. If you plan to keep your new sofa for a while, it will be worth the extra money to choose a sofa with high-density cushions. Feather-filled or down-filled sofa cushions are two other options that offer a soft, “sinking in” feeling. Down, which comes from the soft underbellies of geese, is the pricier option of the two. While these cushions are incredibly soft, they do not offer much support and require more maintenance. They may need to be plumped once a week or more to continue looking and feeling good. For exceptional support, comfort and durability, sofa cushions with pocketed coils are the way to go. These coils provide a difference you can immediately feel with a comfortable buoyancy. Plus, pocketed coil constructions are typically very long-lasting. From cushion cores to upholstery, you now have inside-out knowledge of sofa design and can officially impress friends and family with your decor savvy. Oh, and about that pronunciation question we mentioned at the beginning: “chaise longue” (shez-lawng) is French, and in American English it’s pronounced “shayz-lounge”. Now go out and style on, design expert.